We continue today with our series of interviews featuring the contributors to Inside Scoop: Articles about Acting and Writing by Hollywood Insiders and Published Authors. When I read Sue Thurman’s accomplishments, I stood in awe. Sue is listed as the producer for Arizona Entertainment Weekly—which covers local and global entertainment news. She’s written a humor column for the Scottsdale Tribune and the ezine Stuff, and will be shooting a pilot in April, titled Ghost Hunters. She’s also working on two new books. I’m tired after saying all that, never mind doing it. Sue was kind enough to let me catch up with her to talk about some of these projects and her contributions to Inside Scoop. Welcome to The Book Connection, Sue. I’m honored to have you with us. Thanks Cheryl. It’s wonderful to be here and thank you for inviting me. Let’s get started by finding out more about you. What is your fondest memory from your childhood? My mother reading stories to me. She made me fall in love with books and the wonderful characters that came to life in my mind when she read their adventures. One of my favorite stories was Peter Rabbit. Then there was Mother Goose with her short little tales that would get my imagination going, then I’d think about what might have happened next. I often imagined they have a life off the pages of the books. Do you still live in the place where you grew up? No, I grew up in the Midwest and now live in the Southwest. I always wanted to be a cowgirl, so I got my wish. My husband, family, and friends, especially my best friend in the universe, Vicki Ray. From one busy woman to another, how do you manage to find time for all that you do? For me, it’s all about having a passion for things. My days are filled with the things I’m driven to do. It’s not like there’s really a choice. I have to do them to sustain myself. My creative energy has to constantly be fed. Sometimes it’s overwhelming. If you saw my office, you’d really wonder. Without my computer, I’d be totally lost. This looks like it will be a big year for you. That’s my hope. I just signed a publishing contract for one of my books, Maybe We Are Flamingos, so now things are even more exciting. In addition to your contributions to Inside Scoop, you’re in the process of developing some pilots for television and writing books. You’re involved in two extremely competitive industries. What keeps you going? My husband, Pat and an inner need to express myself creatively. I’ve been producing play times since childhood for the neighborhood. It brings me tremendous joy to touch others in a positive way, to bring a smile to someone, and explore possibilities. When my twin sons were little, we had the greatest adventures. I loved watching them discover the world. I’ve always loved children and the way they think. How do you keep from getting discouraged by rejections? Those initial rejection slips from literary agents or publishers hurt, but now I just cross them off the list and move on to the next one. The same is true with the television pilots. It’s my belief that most of us know when we’ve created something special, something important. It’s just a matter of finding someone in the industry who shares the vision. Sometimes that takes longer than we’d like. The entertainment industry fascinates me. Can you share with us a little bit about shooting a television pilot and what happens afterwards? Cheryl, how much time do you have? The entire process gives me a major adrenaline rush. Most people would probably be surprised how some actors need to be reassured and encouraged. One of my gifts is apparently being able to put people at ease and it’s like a special kind of magic. During a movie junket, one actress was so nervous before and after an interview and wanted to be sure she did a good job. It took a great deal of reassuring to get a smile on her face. She honestly did a fantastic job. When taping an entertainment news program, like Arizona Entertainment Weekly, it’s critical to establish a comfort level quickly. The win-win part is providing an opportunity for the person being interviewed to share their dreams, passions, or work with the audience. There is a tremendous amount of work that goes on behind the scenes. Writing, scheduling, arranging every tiny detail. There are differences each time, but there are always many, many things to keep track of to do the best job. It’s hard to watch a movie or television show now and not notice when there’s a production error. Like someone is hurt and bleeding in a scene. Then in the next scene there’s no blood, then it’s back again. Most of the time scenes are shot out of sequence, so it’s important to have a script person tracking each character, how they look from scene to scene, what they are wearing, down to the jewelry, manicure, and makeup. Taping outdoors brings another set of problems. Once we were doing a shoot at a fire station surrounded by wild peacocks. Every time the cameras started to roll, the peacocks would call to each other very loudly. It took numerous takes for a short scene. There can be airplanes and the sound of regular street traffic that also requires numerous takes. One of my favorite television shows had a production error recently that drove me crazy. A female character had eye shadow on in one scene, then it was gone in the next, which was just a moment later on screen. In reality, it could have been several days later. After the shoot, it’s all about editing, music, special effects, voice overs, b-roll, and other things that polish a rough story into a work of art. I rely on expert editors to do that. They are truly the wizards that make it magical and make it all look so great in the end. I’ve worked a lot with an incredible editor, Todd Hunt. He is amazing and we’re working together on the current pilots. Once all of that is accomplished, comes the time to pitch the pilot to potential sponsors and/or studio, depending on the material. Often times it really boils down to contacts and who you know that may be looking for something. Making a pilot doesn’t guarantee success, so it’s a gamble and often an expensive one, but somehow, it always feels like it’s worth the time and energy. What are some of the reasons that pilots don’t get picked up by networks? From my experience it’s typically funding or the person contacted isn’t interested in the subject matter, sometimes for personal reasons, other times because others have something similar. Then, sometimes they want something similar. Competition is strong. Many industry experts have turned a project down then have later been very sorry when it’s a hit elsewhere. Timing plays a major role too, along with production costs. If one can walk in with a sponsor, that’s half the battle. Reality TV seems to have taken over television. Why do you believe these shows are popular with viewers, as well as, network executives? That term is such a hoot, when there’s typically not much reality involved. They are less expensive to produce and typically don’t have a major star. I’m sure there are other reasons, but those come to mind immediately. Let’s move on to writing. You write for the children’s market—among others—and one of the television pilots you’re working on is a children’s show to promote reading. What do you enjoy about reaching out to young people? Absolutely everything! There’s nothing as exciting as the opportunity to ignite a child’s imagination. They are like thirsty little sponges taking in everything they hear, see, touch, taste, and experience. To have a chance to share a new experience with them and the potential to create a lasting special memory is the best. It’s really the same with most audiences. When it’s children and their families, that’s even better. How can parents encourage a love for reading in their children? By reading to them from the start. I read and sang to my twins before they were born. As infants, they heard many stories. When they were toddlers, they loved to pick out their favorite stories and we’d read them frequently, not just for bedtime. Sometimes I would make up stories to tell them. Soon, they wanted to learn to read themselves and begged me to teach them. So, at the age of around three, they started reading their favorite books to me. They have been avid readers ever since. Our theme song says it all, Reading is magic, all you need is a really good book, it’s the key. The key to unlock the realm of imagination. For many years we saw the success of this live production and now we’re going to bring it to television and touch millions. Do you feel America has done a good job of promoting reading and writing in our public school systems? That’s hard to say because schools are not identical across the country. However, during educators’ day at the opening of the Challenger Learning Center in Peoria, Arizona, we were amazed how many teachers shared their concerns with our cast. They said in the last 15 to 20 years, kids are more observers than participants. Is there anything else you think we can do? Absolutely! Set a good example as adults and read more. Have a special story time to share with your kids. We often did this with a pot of tea. Take turns reading a story out loud, especially if your children are older. Discuss the story and maybe make up what might have happened to the characters after you close the book. Go to the library and to their story times. Support programs like ours, all about the magic of reading. Let’s talk about Inside Scoop. How did you get involved in this project? Through my virtual office, Emerald City Imagineers, on Zoetrope, I met Marilyn Peake. I’m very proud to say she’s one of my Imagineers. Marilyn publishes "Golden Goblet" Newsletter and invited me to contribute. Stories from "Golden Goblet" were included in the book. You contributed an interview with Allison Dubois, who is a real-life medium. What is the focus of this interview? It was my sincere pleasure to interview Allison for Arizona Entertainment Weekly. We spent an hour together and I was amazed and delighted to have the opportunity to spend time with her. Her segment was on-air about 2 minutes, which was typical for the format of the show. I had so much incredible information and wanted to share it with others. In the interview she shared things about a book she had just written, her life, her family, and what it’s like to be a medium. She also talked about Patricia Arquette, the actress that plays Allison on the television show Medium. Allison talked about visiting the set with her children so they could play with the “little” actresses that play them on the show. She also shared what it was like to have children with her gifts. I’ve always been interested in the paranormal, so meeting Allison was a very special opportunity for me. You also contributed an article titled Ghost Busters. What can you tell us about it? Since the first house I lived in from infancy until I was several years old was haunted, I experienced some odd things and since that time I’ve always had an interest in the paranormal. Debe Branning is a ghost hunter and after sitting in on one of her classes and interviewing her, we discussed program ideas. Debe shared some of her experiences, which I thought people would find interesting. Most people are interested in celebrities and ghosts, not necessarily in that order. We talked about shooting a program in the future, Now the time is right and we plan to shoot a ghost event she’s hosting in April. I’ve been sworn to secrecy, but will be happy to report on what happens. We hope to see a ghost during our adventure, which sounds like great fun. This could easily be a special, so that’s how we’re approaching the project. We’re going to visit some of the locations with Debe before the event, so maybe we’ll meet some interesting spirits along the way. Can we look forward to more contributions from you to “The Golden Goblet” newsletter and books based upon them? Dan Aykroyd Unplugged on UFOs. It was amazing to talk with David Sereda, the producer and director of the DVD and learn about his interest and Dan’s. Working with Marilyn is wonderful and she’s a dynamite editor, writer, and person. In the writing area, as I mentioned earlier, I’ve just signed a publishing contract for my first book in the Safari Series, MAYBE WE ARE FLAMINGOS. It’s a series of children’s books inspired by my days as Safari Sue at the Phoenix Zoo, where I produced children’s programs. I also have several paranormal romance novels and others in the works that can be easily adapted into screenplays. One day, my dream is to work with Ron Howard to bring them to life on the big screen. Recently I decided to write a book based on interviews with psychics and those involved in the paranormal, along with actors that are also interested in the subject, or have been in TV series or movies with ghosts. I would love to talk with the cast of Ghost Whisperer. Also thinking of developing some Internet casts for some interesting characters from our live productions. Yes, the material in my books and the children’s television show has been field tested with tremendous results. My dream is to share quality stories and shows with children and their families, while making a positive difference, and stimulating those wonderful imaginations. Please watch for the release of my book, MAYBE WE ARE FLAMINGOS, in late May, 2008. Thanks so much, Sue, for sharing your time with us today. I hope 2008 turns out to be a great year for you. May you be blessed with continued success. Thank you so much for your wonderful words and this opportunity, Cheryl. The Poetry of Murder is a tale of lies, secrets, and revenge that will find you weaving through twists and turns every step of the way. Aspiring African American poet, Geneva Anderson finds her aunt, Victoria Franklin murdered in her office at International House. She is stunned once more when she discovers that she has inherited her aunt's estate that is worth millions. After the inheritance leads to Geneva becoming the prime suspect, she is arrested for her aunt's murder. To clear her name, she decides to search out the real killer on her own, despite the advice of many friends. The more she discovers about Victoria's past, the more Geneva fears her aunt might not be who she thought she was. As lies are uncovered and long-held secrets revealed, Geneva is forced to learn The Poetry of Murder. I was thrilled with this cozy murder mystery from debut author, Bernadette Steele. She drops the reader right into the action and it never stops until the murderer is revealed. Geneva Anderson makes the perfect amateur sleuth because she truly learns as she goes, using only past experience and common sense to move her investigation along. There were so many twists and turns to this novel I almost got dizzy and I honestly had no idea who the real killer was until I read it. Steele wove a great plot, included a well-developed set of characters, and plenty of mystery and suspense to come up with an outstanding first novel. The cover didn't do much for me. I liked the black, red, and white print on a yellow background, but the black and white photo of International House wasn't what I would like to see on such a page turner. And having seen the video trailer for this novel at YouTube, I feel there is so much more that could have been done to design an attention-getting cover. All lovers of cozy murder mysteries will want to pick up The Poetry of Murder by Bernadette Steele. I look forward to the next book in this series starring amateur sleuth, Geneva Anderson. 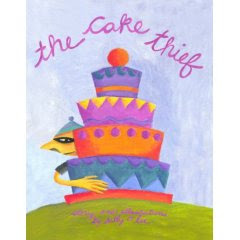 The Cake Thief by Sally O. Lee is a fun, easy to read, and beautifully illustrated tale of Clarence, a young boy who likes to steal cakes. We don't know why he doesn't talk to anyone in town, but we know he goes through the neighborhood stealing cakes, until one day he gets an invitation to a party and Clarence must bring a cake of his own. This short picture book is filled with strikingly handsome illustrations rendered in oil paint on paper. Your youngster won't soon forget Clarence's small gray house with a purple door that sits on the top of a hill. Nor will she forget his plump black cat, Evelyn. Lee shares Clarence's story with words that perfectly match her stunning illustrations. After reading this story to your child, there will be much difficulty in everyone picking their favorite parts because there is so much to love and enjoy. A sweet and yummy tale of belonging and friendship, The Cake Thief by Sally O. Lee will win your heart and become one of your child's favorite books. 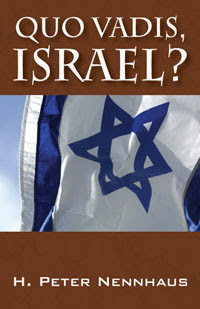 Well-written, intellectually stimulating, and thoroughly researched, Quo Vadis, Israel? provides the open-minded reader with a unique solution to a decades-long problem. Since its birth in 1948, the State of Israel has been consistently despised and attacked. Numerous peace efforts by various countries and organizations have failed to bring about a long-lasting solution for Israel and Palestine. But what if Israel were moved to a more suitable land in Europe? This is what author H. Peter Nennhaus asks the reader to contemplate while providing an historical background of the conflict, the history of anti-Semitism, and the bleak outlook for the future in the Middle East. For such a short piece of work (~ 110 pages), Nennhaus has managed to pack in a plethera of facts, figures, and important dates. It is obvious he is knowledgeable about this topic. He makes a strong case for moving Israel to a more suitable location--one where the State of Israel and its inhabitants wouldn't be surrounded by a bunch of countries and people who wish them harm. Showcasing the abilities that the Jews have for turning wasteland into prosperous territory, Nennhaus believes the Jews will do equally well in creating a new home in a land that is in much better condition than the land they received in 1948. The author willingly admits that this plan will be difficult for many to accept, but this reviewer admires his convincing arguments. In Quo Vadis, Israel? I found a probable solution that would finally allow the State of Israel and its people to live in peace. Richard Dudum is a San Francisco trial attorney, a realtor, a musician, a summer camp director, and a cancer survivor. He is also a husband, and the father of two sons and two daughters. The best part of his life has been the past twenty-eight years working with hundreds of teenagers and young adults, including his own children. He's tried to provide tools to help them successfully communicate and navigate through the turbulent teenage years. Over the years, he's seen the same issues hurt so many girls so many times that he decided to write down his insights, thoughts, and advice. The result is his new book, What Your Mother Never Told You. I'm not trying to ruin your social life by writing this book. It's your life, not your social life that I am interested in. If I didn't think you were worth it, I wouldn't take my time writing this book. You may think I don't know you. You're right, but I know who you can be. I know what you are capable of. I have spent the last twenty-eight years talking to teenagers and young adults just like you. You all share so many beautiful things in common. What I discuss in this book relates to all of you. You are not alone. You are absolutely worth my time in writing this book. I want you to have fun, go to parties, meet boys and girls, dance, laugh, sing, and have a great time. At the same time, I want you to always anticipate and avoid potentially harmful people, places, situations, and the type of fun that can blur your reputation. I want you to always be smart and safe. I want you to try your best never to cross the line. I want you to make perfectly clear to the world exactly where your line is so that there is never a shadow of doubt about who you are, what you do, and where you stand—by doing so, I want you to define yourself! I want you to be confident, elegant, and hold yourself to the highest standard, a standard that is beyond compare. A standard that YOU can and will always be proud of. I am ask­ing you to be your very best all of the time. When you walk in a room, I want everyone there to have the absolute greatest respect for you and to hold you in the highest regard. I want you to always respect yourself. But far more important than what I want is what YOU want. YOU have to want all of these things. I am absolutely not asking any more of you than you should ask of yourself. Do these things for YOU—not for me—not for anyone else—only YOU! Don't worry, your life and social life will be great. Keep on reading. We're almost finished! 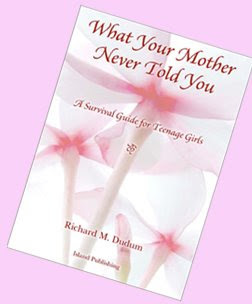 What Your Mother Never Told You can be purchased at Amazon.com. Today, I have the pleasure of welcoming back multi-published, multi-genre author Larriane Wills. I first interviewed Larriane when her science fiction novel, Looking Glass Portal was released by Swimming Kangaroo Books. 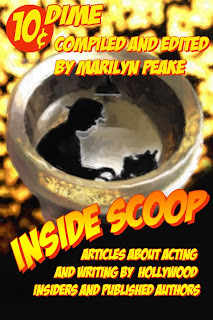 Larriane is just one of the talented authors who contributed to Inside Scoop: Articles about Acting and Writing by Hollywood Insiders and Published Authors edited by Marilyn Peake. We’ll catch up with all Larriane has been working on since the last time she stopped by and find out more about her contributions to Inside Scoop. Welcome back, Larriane. I’m thrilled to have a chance to catch up with you! I bet you’ve been a busy person since the last time we spoke. Thank you for having me. Really nice to be visiting with you again. Oh, and yes, I have been busy and loving it. Why don’t you give our readers a brief overview of who you are and what you write so we can refresh their memories a bit. I have three currently published books, The Knowing (fantasy), Looking Glass Portal (Science fiction), and under my alter ego, Larion Wills, Mourning Meadow, a romance. I have two at the gate, coming out any time (maybe even be by the time this is posted) Thirteen Souls and Mark of the Sire. With six more under contract, I expect to stay busy for a couple of years anyway. I know this is a tough question, but do you prefer one genre over the others? If I were to be pushed into making a choice, I’d have to say contemporary romance, but I’d have to add as long as it includes suspense. If one of your readers was asked what your greatest strength as a writer is, what would she say? Going by what comes up the most in reviews and fan mail I’d say character development seems at the top of the list. It seems like you’ve concentrated more on science fiction and fantasy than on romance in the past, but you’ve got some romance novels coming out soon. What can you tell us about them? I actually don’t do more in fantasy/science fiction. They were just the first I submitted and started with. The romances are on the move. They’re multi and crossed genre from soft and sweet to hot and spicy, historical to modern, and for variety some have ghosts or witches tossed in. I did try to separate some of the genres to alert my readers in what to expect by using two pens, Larriane for fantasy/science fiction and Larion for romance, but by definition ‘romance’ covers such a very wide spectrum. 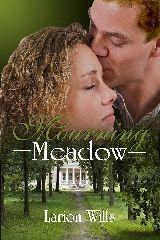 Mourning Meadow is a soft romance with some ghosts. Thirteen Souls is a hot romance with ghosts, while Mark of the Sire is a soft, historical without any paranormal at all. Mark of the Sire, by the way, is the first of a historical series. The second, Little Sam’s Angel, will be released this fall. Evil Reflections, a hottie with witches, is slated for a Halloween release. Marilyn Peake read a blog I had written, liked it and asked me to contribute. Flattered and once challenged, I had to try even though I don’t consider myself a non-fiction writer and do very little in the way of shorts. 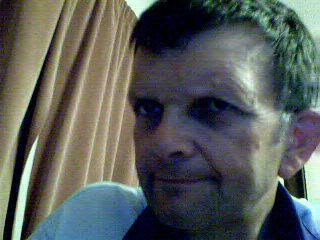 If you were to drop in at my website you’d see what I mean by how seldom I even write a blog. You contributed two articles to this book: “You Have Nothing to Fear but Fear Itself” and “Editing Is Not a Dirty Word”. What type of fear are you referring to in your first article? How do you think writers can overcome their fears? I had allowed things I had heard or read convince me that it was a waste of my time for an unpublished author to even try to break into the field without previous background or credentials. Made for some good excuses to avoid facing rejections and that was the biggest fear. The thought of someone telling you your work isn’t any good can be an ego crusher. Not even ego actually, but your spirit. The only way a writer can overcome that fear is to face it, be ready to take the necessary time and expense—and yes there is expense to consider—and go for it. What you learn along the way will only help you to be better equipped for the next submission. I am one of those crazy people who enjoys editing almost more than the actual writing. Why do you think editing is so cumbersome for many writers? Are there ways to make editing easier or maybe even more enjoyable? Editing is cumbersome. There I said it. It’s time consuming, requires concentration, monotony, and disciple. Some writers are lazy and sloppy too. I hope no one is throwing things at me, but it’s true. When you read someone else’s work, I’ll bet you can pick out those I’m talking about. So can publishers. Guess what goes in the rejection pile. That’s the incentive. Suggestions to make it easier are in the article, but first and foremost, don’t let it overwhelm you. Take it one step at a time and receive ‘enjoyment’ in that sense of pride in your achievements. Remember, they’re only words, and you have control over them. It sounds like you’ve got a lot happening in your world. What does the future look like right now? Are there more exciting projects to tell us about? My future looks like a lot of work on the computer. That’s said with a smile and a grimace since I write all my first drafts out in long hand. Writing a story is so much more fun that typing it, and yes, editing. I need to set the romances aside for awhile and get back to some fantasy/science fiction for those readers. I don’t know how exciting you’d call that, but that’s the plan. Since you asked, I’d love to thank Marilyn for the opportunity she’s given me. If one person with a manuscript(s) in a drawer or closet takes it out and works on sharing it, the article accomplished something. A big thanks to you too, Cheryl. Always fun to visit with you. Thanks for stopping by, Larriane. It was wonderful to touch base with you again. I wish you much continued success. 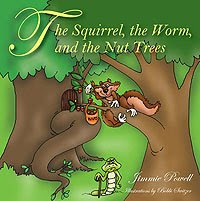 An inspiring tale of surviving against all odds is what you'll find in The Squirrel, the Worm, and the Nut Trees by Jimmie Powell. Mr. Squirrel goes off to gather nuts so his family will have enough food for the winter, but when he gets to the nut trees he finds silk worm webs have destroyed the nuts. And worse, Mr. Worm doesn't care. The Squirrel family makes it through that hard, long winter by rationing their food, all the while making plans for how they can outsmart Mr. Worm and be sure to have enough to eat next winter. The Squirrel, the Worm, and the Nut Trees is a fun and easy way to show children the advantages of ingenuity. Through the Squirrel family's struggles children see how working together and creating a plan can make all the difference. My children, ages 4 and 6, loved this book. The detailed and vibrant illustrations immediately captured their attention. They picked up on the personality traits of each character. My six-year-old called Mr. Worm sneaky and mean. And while I don't know if this was the author's intention, I think this would make a great book on how to handle bullies without resorting to violence and meanness. The Squirrel, the Worm, and The Nut Trees is sure to be a winner with kids everywhere. Charming and full of beautiful, colorful illustrations, The Little Candy Breathing Dragons by Gloria Clark is a sweet tale. Dragon sisters Maj and Nay-Nay set out on a journey, running into many needy creatures along the way and leaving behind the delightful smell of candy. Tootie Slim, a dog with no legs; Munckhkin, a lost bear; Mrs. Pookie, the blind cat; Dig, the dragon with no mane; and Butchie, the deer who falls into a well, are helped by the kind Maj and Nay-Nay, and they remind the dragon sisters of the gifts of God and the importance of obedience. And the wise old owl, Mr. Dee helps Maj and Nay-Nay find their way back home to Buffalo. There is much to like in this short tale of Maj and Nay-Nay. In an easy and fun way children learn about random acts of kindness and obedience. Through Maj and Nay-Nay they learn tolerance and acceptance of others. Children witness the unselfish acts and love that Maj and Nay-Nay shower on people they only just met. The ilustrations are what make this book a real treasure. Stunning and beautiful, the bright colors and full page size adds to the overall pleasing appearance of the book. The book had a few challenges--which I picked up on--that did not disturb my children, ages 4 and 6. All the text is placed in one huge block on the left-hand pages--dialogue and narrative are mixed together--and reading the text out loud, therefore, sounds a bit stilted. And because of this format, some of the rhyming words do not flow smoothly because they come at awkward breaks in the story. Amazon.com lists this book as being for ages 9 thru 12, but I would say that my girls and perhaps children a year or two older will enjoy this book, but the rhyming and overall story is probably lost on a more advanced reader--though the lessons inside its pages are good at any age. 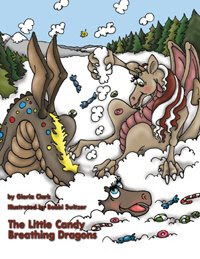 Overall, our family enjoyed The Little Candy Breathing Dragons by Gloria Clark and will certainly read it many more times. For over 30 years James Hardt, PhD has been studying the electrophysiological basis of spiritual states. He has traveled to India to study advanced Yogis, studied Zen meditators and Zen masters, and explored Christian prayer and contemplation. James began studying consciousness at the University of California San Francisco Medical Center while earning a Ph.D. from Carnegie-Mellon University. He discovered the link between brain wave patterns and peak performance. And he learned how people can take charge of their brain waves: with just the right feedback mechanism, they can create joy-producing and creativity-enhancing alpha waves. Thousands of people, from Zen masters to Green Beret commandos to scientists and students and children and parents and grandparents, have joined Biocybernaut programs to achieve spiritual growth, emotional healing and peak performance, including boosting IQ and creativity. You can visit his website at The Art of Smart Thinking. How would you like to access all of your brain’s innate capacity to learn, invent, create and solve problems? Would it improve your life if you could think more clearly, access your intuition, reduce stress and anxiety, and prevent your brain from aging? We’ve all heard that we use only a tiny percentage of our brain s natural capacity. 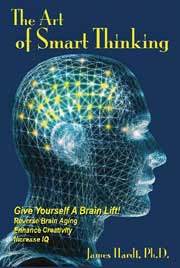 If you've ever wondered why, The Art of Smart Thinking will provide some answers and solutions. Every experience you have is the result of certain brain waves. Unfortunately, most of us are only accessing two of our four brain waves, and the two left out, Alpha and Theta, are actually the most important for exceptional creativity and intelligence! Today, I have the distinct pleasure of welcoming Geoff Nelder, an award-winning author of thriller, fantasy, and science fiction. 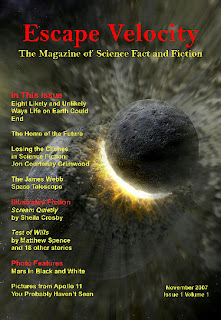 Geoff is also co-editor of a new science fiction magazine titled, “Escape Velocity”. Geoff made three humorous contributions to Inside Scoop: Articles about Acting and Writing by Hollywood Insiders and Published Authors. We’ll talk to Geoff about his books, his magazine, and his contributions to Inside Scoop, but I warn you, Geoff might just crack you up. Welcome to The Book Connection, Geoff. It’s great to have you with us. Cheryl, the pleasure is all mine. When you first contacted me about this interview you mentioned biscuits and tea. Sounds English. Is that where you hail from? Do you still live in England? I hail from Earth, but I live in the bit called England. How long have you been writing? Have you always viewed the world with a sense of humor? I have been writing since schooldays, when I wrote skits for end of semester stage shows. Who would you say is your biggest source of inspiration? Tibor Fischer plays with words in a way that I appreciate, admire and make my chuckle muscles ache. Read his The Thought Gang and you’ll see what I mean. Less obviously, one of your countrymen living in Paris, Howard Waldman, has an inspiring flair for writing – try his Back There and his soon to be released Good Americans Go To Paris When They Die. You’ve recently had a short story published in the literary magazine, Delivered. Would you like to tell us about it? "Camera Shy" came to me while sipping lemon tea at a pavement café in the Place de Concorde, Paris. A thief dismounts from his bicycle to ‘help’ then steal a video camera from a tourist couple. They use his bicycle to give chase down in the Metro underground. The confrontation is where the twist and countertwist screws when the wife pieces together the real reason why her hubby is so keen to recover what is recorded in the camera. Writing a chunk of a story while on location always gives me a buzz. Hey I get a prize if readers vote for my Camera Shy in the March edition of Delivered – get it from Grimmy Productions. Why don’t you tell us about some of the story collections you’ve contributed to. Let’s talk about Escaping Reality. It’s listed on your website as a humor thriller, crime mystery with a dash of romance. Okay, how in the heck did you pull all that off? It is the novel that grew inside me as a young man and finally burst out in 2005. The protagonist is thrown into prison and escapes to prove his innocence. He uses humor, like I do, to overcome adversity. If you are a kid trapped in an adult’s body then it isn’t difficult to find hilarity all around you, particularly when real adults are so po-faced. How can writers add humor to lighten up their stories without making it seem out of place? Tell us about “Escape Velocity”. How did it get started? Where can readers get a copy? Do you accept outside submissions or is this magazine entirely staff written? After the first issue, it would feel too much like vanity to use our own stories in the magazine – and so we defeat our own original purpose! We write articles and editorials but are open to science fiction stories from any good writer. Please read the submission guidelines in the above link first, even if you send a packet of biscuits stapled to your e-mail. Let’s move on to Inside Scoop. How did you get involved in this project? Marilyn Peake and I bumped into each other in a couple of writers’ forums and that latent spark of love and recognition burst into everlasting flame – or something like that. Your article “Where the Spanish are German, the English are Scottish and the Sheep Wear Cowbells” is about what writers can learn by traveling to places they hope to write about. Is this something that you do frequently? Absolutely. As a former teacher of Geography I used to get irritated by the use of theoretical models that were the vogue in the 80s. Kids would learn about NewTown and NewPort and know nothing about real places. Now I see that in stories and I see no point in making up places when there are so many colorful real and vibrant towns. But to grab a feel for those places I need to breathe in their air, smell their wild plants, and kiss their women, and so forth. It is a bit trickier in science fiction, but I have a ticket waiting for the next bus to Saturn’s rings. using Internet forums for writing research)”. What can you tell us about this one? I was commissioned by a cycling magazine to research and write a piece on why dogs chase and bark at cyclists. There are so many Yahoo and other forums inhabited by cyclists, dog owners, sound engineers and scientists that they presented an ideal opportunity to forage them for information. I had over 2,000 responses from ‘because they can’ to a book-length essay from an ethologist on canine psychiatry. Your last article, “The Mob and Hotels: Elements of Research in the Writing of Escaping Reality” talks about the real-life background research you did for your novel. Sounds dangerous. Were you ever worried that what you uncovered could be harmful to you or your loved ones? I am too ignorant and foolish to realize any danger I put myself and my family into at the time. When you have taught 5,000 people no matter how much I hoped they’d all become model citizens – at least whacky anarchistic but friendly citizens – some were statistically likely to become criminals. One such was a likeable rogue as a kid, and though he became a drug pusher and then gangland leader we kind of respected each other so I didn’t feel in any personal danger. The information he imparted to me was obviously not going to be relevant for a police operation by the time it came out in Escaping Reality. Having said that there were police raids in Maryport, UK after a local reporter noted the crime scene described in my fiction! What’s up next for you? Are there future projects you would like to share with our readers? That cup of tea? My biscuit has sunk in it. Just one last question, how are my interview skills? Before you answer, let me tell you that I have an over-protective husband who stands around six-feet tall and is dangerously close to two hundred pounds. Your skills are outstanding, as is your hair. Thanks for joining us today, Geoff. It’s been a wonderful and funny ride getting to know more about you and your work. Best of luck in all you do! Thanks, Cheryl. Next time make it Earl Grey tea, and I’m partial to custard creams. As you've probably guessed by now, I like historical fiction. While attending college I could never decide whether to major in History or English. I still haven't figured that one out. Usually I tend to go for titles centered around the American Revolution, the American Civil War, and the late 1800's or early 1900's because I love the settling of the American West and the pioneering era. But after reading some of the posts about William Hay's book, The Originals, I'm seriously considering making it a part of my home library. Here, William will share more about his book and then you'll get to read an excerpt. 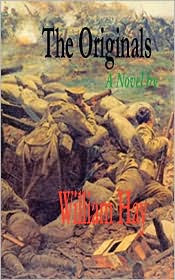 The Originals is the story of the Princess Patricia's Canadian Light Infantry from the eyes of William Dawson, a Canadian-born, and Boer War veteran, drawn back to the colours at the outset of the First World War. He enlists with the newly formed Patricias at Lansdowne Park in Ottawa beside many other veterans of the King’s service, leaving the lives they had started in Canada behind, answering Great Britain’s call to arms once again. The regiments’ creation was the culmination of one man’s patriotic fervor at the outset of hostilities of that tragic conflict. The man was Hamilton Gault, a Boer War veteran--as were many of the Patricias--and a wealthy business man from Ireland. He made his home in Montreal, Canada, and remained a devoted imperialist. He obtained permission from the Canadian Government and the British War Office to raise the regiment after he fronted one hundred thousand dollars of his own funds for the venture; a substantial sum of money in 1914. For Canadians, the PPCLI became a visual representation of the remaining ties of Imperialism, slowly fading in recent generations, but for the Imperial Armies, they were much more. They were experienced, battle hardened soldiers. Rare jewels among the sea of raw civilians flooding the recruiting offices. The PPCLI was the first Canadian and Colonial battalion in the field of battle. Her veterans find it to be a war unlike any other, before and since. The static nature of the Great War is in it’s infancy during the winter of 1915. Trenches at their most primitive, a war of movement expected to recommence at any time. As the members of the Patricias gradually disappear from the ranks during the first winter of World War One, the static warfare remains unchanged, with no end in sight. Their reputation of fortitude is put to the test in hastily constructed defenses at Bellewaerde Lake on May 8th 1915. There, the Patricias set a standard for all Canadian and Colonial troops to follow, a standard set in the sweat and blood of The Originals. Although the story is about actual events, this is not a history book. In writing this novel, my goal was to reach beyond the scope of what happened during that first winter in Flanders and describe what it was like to be there. The main character of the story is fictional, but with few exceptions, what and who he encounters are real. The portrayals of the battles are based on research. The interpretation of character is my own. The Patricias separated into their companies and moved forward in single file. The rain had changed into sleet, smacking onto their faces. Flares lofted about the sky, lighting up acres of water saturated fields, devoid of any vegetation. It was more a region full of bogs than the pasture it once was. With each step, Dawson didn’t know if the ground would be firm or some mud-filled hollow. Occasionally he sunk up to his ankles. It required both hands to haul his leg out. Assistance from his mates was often necessary to pull clear. Muck accumulated on his boots. Water rolled down his spine. His hands were numb from being in water soaked gloves. The wind chill was freezing his exposed ears which he attempted to protect by laying his head against his collar. The line of men floundered through the sludge one step at a time. Dawson decided they’d be all night getting to the front line. They came to a stop. Dawson waited. Disoriented. Expecting the line to continue on, but they just stood there, in the open. There were no landmarks or signs. He was a blind as the next man and nervously fidgeted about trying to keep from sinking too deeply in the sludge. Dawson knew the right move while at the front was to lie on the ground, but no one else had dropped into the mire. He remained standing too, hoping they’d keep mov’in soon. The rifle cracks, the occasional ‘tat-tat-tat’ of machine guns, the unmistakable pop or singing of bullets passing dangerously close, caused the men much consternation while they waited in the darkness. The shelling hadn’t ceased either, but thankfully was concentrated behind them, along the roads in the skeleton city of Vierstraat. The distinctive sound of water could be heard ahead. Lights reflected on the surface of some large accumulation right in the middle of their path. Dawson expected their guides would surely steer them around this mammoth puddle in the middle of the field. Soon he discovered it wasn’t a puddle after all. It was a river, and they had to cross it. Dawson wondered if matters could possibly get any worse. Without one word of complaint, the Patricias slung their rifles, well clogged with mud at this point, and waded into the slow moving water. Any part of Dawson’s body which, by some miracle, remained dry, became soaked. Water seeped into his deteriorating boots. A preverbal water fall began to enter down his collar and into his pants. The water was freezing. There were sounds of men sucking air in through their teeth. Discipline over powered the natural urge to shout as they wallowed their way across the icy stream in silence. The opposite bank was a sight, its dirt walls now slick and mucky. With his rifle still slung, Dawson dug the toes of his boots into the slope and formed his hands into the shape of small spades. Weighing twice as much as he had when they arrived at Vierstraat eight hours ago, with a water soaked wool uniform, now covered by layers of mud, Dawson struggled to climb. He lay still for a moment catching his breath and removed his forge hat. The sleet landing on his head felt like small needles. “We’re almost their lads.” Niven’s comforting voice reached Dawson’s ears from somewhere in the darkness. Dawson held his rifle tightly, now looking more like a chunk of mud then a weapon of war. He followed closely behind his mates. Flares rose up. In a moment they’d be lit up like daytime. Dawson flopped to the ground. Mud seeped around his ears and collar. The natural reaction was to jump back onto his feet. Such a move would mean certain death. He lay still. Watching the shadows move about the muddy landscape as the flare slowly floated down and away. They rose again and continued their seemingly endless journey to the front line. Like a drill movement on the parade square, Dawson and his mates dropped onto the ground as one. The mud continued to amass around his webbing, water bottle and haversack. The flare dropped from sight and like corpses rising from their graves, the Patricias rose out of the muck and continued forward. Each time he stood, Dawson felt he’d gained ten pounds. A machine gun suddenly opened up on them. Into the muck they dove again. Bullets whizzed past and spattered beside them. Dawson sunk as deep as he dared, searching for any protection. The Germans were positioned well on high ground some hundred yards away and fired blindly, pouring rounds over their heads. More flares brightened their front and exposed their location to enemy machine gunners. Mud and water splashed Dawson’s face when rounds sprayed in front of him. Dawson knew he and his mates couldn’t stay where they were and live. In the flares fading light, Dawson saw a ditch ahead of them. It wasn’t deep, but enough to afford some protection. Another machine gun joined in on the attack. Without being ordered, the Patricias took the initiative and began to drag themselves to the meager cover. Foot by foot Dawson pulled himself along, no easy task with the extra weight he’d amassing during the crossing. The field gradually turned dark, with the extinguishment of the last flare. They jumped up and struggled the last fifteen yards to the ditch. He could hear grunts and heavy breathing around him from the other Patricias. Flares shot up again. The ditch was directly in front of him. Five yards away. Barely visible. He strove harder to make the distance. His legs burned with fatigue. Then the flares reached their maximum height and illuminated the field again, exposing the Patricias. Dawson threw himself down the slope of the ditch. Bullets sprayed behind him as he landed head first in knee-deep water at the bottom. Patricias splashed into the ditch beside him, right down the line. For the moment they were safe. “I don’t know sir.” Bellinger said. “Yes sir.” Niven disappeared in the blackness. “Has anyone seen McKinery?” Jones asked about their company commander. “I last saw’im at Vierstraat sir.” Christie advised. Pick up your copy at Amazon today! I'm doing something a little different today. 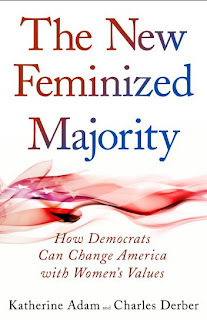 Charles Derber and Katherine Adam are on a virtual book tour with Pump Up Your Book Promotion to promote their timely nonfiction political book, The New Feminized Majority: How Democrats Can Change America with Women's Values, which was recently released by Paradigm Publishing. I've always had an interest in politics and I actually ran for public office in 2003. Things didn't work out the way I hoped, but I still remain active in local politics as much as my schedule allows. One of the things that always interests me during political discussions with co-workers or friends is the reasons that we vote the way we do. For some, they are going to vote Democratic or Republican because they always have. It doesn't really matter who the candidate is; all that's important is what letter appears after his or her name. For others, it's a single issue: be it the economy, ending the war in Iraq, reproductive rights, or any other issue that is most important to this voter; whichever candidate feels the same way she does, gets her vote. And there are many other ways in which voters connect to a particular candidate before stepping inside the ballot box. The 2008 presidential primaries have certainly left us all hanging; and for the first time ever, the Democrats are going to have to choose either a woman or a man who has a multiracial and multicultural background to represent them against a Republican challenger. Both Barak Obama and Hillary Clinton embody the modern day Democratic Party, but some people, like authors Charles Derber and Katherine Adam, believe that Barak Obama is a more feminized candidate than Hillary Clinton. On Page 144, the authors discuss how Obama's background allows him to understand the feminized values of "diversity, equality, and community". Derber and Adam go on to state, "He (Obama) highlights the importance of values in his own life and in the nation's politics. He emphasizes that there is a "common good" or universal set of values that can bring Americans together. He stresses change and the movement from self-interested partisanship to a feminized politics of the common good." They go on to say, "Obama emphatically argues that values must drive politics." Do you agree? Is Obama a more feminized candidate than Clinton? Must values drive politics? Are you interested in finding out more? Then purchase a copy of The New Feminized Majority: How Democrats Can Change America with Women's Values at Amazon, Barnes and Noble, Borders, or at Paradigm Publishing's website. 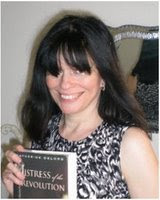 I’m pleased to introduce lawyer and historical romance author, Catherine Delors. 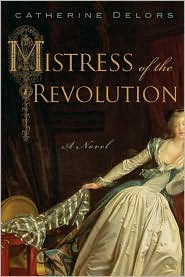 Catherine’s debut novel, Mistress of the Revolution, has been called engrossing, captivating, and incredibly well-drawn. I’m thrilled to have this chance to talk to Catherine to find out more about the novel that had me staying up late at night to read it. Welcome to The Book Connection Catherine. I’m glad you’re here. It is my pleasure, Cheryl. Thank you for having me here. Let’s start by getting to know you better. Where did you grow up? How long have you been working to get published? What do you like to do in your spare time? I was born, raised and educated in France. I was already an attorney when I immigrated to the United States. To answer the other part of your question, it took me four months, from the time when I began querying agents, to receive offers from publishers. But it had taken me almost two years to write Mistress of the Revolution. What was your reaction upon finding out that your first novel was accepted by Dutton? I was amazed, impressed, humbled, overjoyed… All the more so that Dutton also made me an offer on my second novel, For the King. That was one of the factors that made me choose this publisher over the other ones interested in Mistress of the Revolution. Did your law career help you as you wrote this book or in understanding the publishing industry? Certainly, the fact that I am a practicing attorney helped me understand the importance of the legal changes that occurred during the French Revolution. Many of those innovations, for instance with regard to civil rights, are still with us nowadays. As for understanding the publishing industry, I am afraid my legal training didn’t help at all! Of course, I knew about intellectual property concepts, like copyrights, but I had no experience whatsoever working with the publishing industry. All I know now I learned from scratch or from what my agent, Stephanie Cabot, told me. Let’s move on to Mistress of the Revolution. Where did the idea for this novel come from? I remember that it started with a conversation with my father about the name of a street in Vic, the little mountain town where I had spent all the summers of my childhood. It was named, my father told me, after Pierre-André Coffinhal, Vice President of the Revolutionary Tribunal. I knew nothing of that character. So I began to look into his life. That piqued my curiosity, about him and about the French Revolution. Your female lead is the narrator of this story. Why did you choose to use first person? Could the story be told as well from a third person point of view? I suppose it could. But I wanted to feel close to my heroine, Gabrielle, and at the same time her circumstances and environment are so different from mine. So the use of the first person helped me put myself in her shoes. It bridged the gap of the two centuries that separate us. Tell us about Gabrielle. Will readers relate to her? Why will they care what happens to her? I do hope so! I have spoken with my first readers about Gabrielle. Some find her feisty, some see her as a victim of the status of women in 18th century France. Others question her parenting skills, though all agree she means well by her daughter. I like this divergence of opinions. It means that I must have succeeded in creating a complex and true-to-life character. Not everyone likes her for the same reasons. This is what happens with real people. Gabrielle is, as expected, a beautiful young woman, but her love interest, Pierre-André Coffinhal is not your typical stunningly handsome man found in many romance novels. Did you use actual historical descriptions of Pierre-André to create his character? Oh yes. The real Coffinhal, from contemporary accounts, was no beauty. He was unusually tall and strong, with a booming voice. People describe him as dark-haired and “yellow-skinned.” Remember that it was a time when fair skin was equated with beauty. Coffinhal’s roughness was not only skin-deep. He was a violent, passionate man. As Josephine, the cook, says in the novel, he showed his enemies no mercy, and received none. I liked all of these traits in a character. It was so much more fun to write than the regular pretty-girl-meets-handsome-guy story. The romance that takes place in Mistress of the Revolution is set against the backdrop of the French Revolution. Has this period in France’s history always fascinated you? Oddly enough, not. I had always found that era chaotic and confusing until I began my research for the book. But when I started digging, I realized how fascinating, how modern in many ways, the French Revolution is. I was hooked. What type of challenges did working within the confines of actual historical events and with historical figures present as you wrote this novel? Actually, I felt that working within specific confines helped me. In many instances, I simply let the predetermined unfolding of historical events drive the plot and carry my characters forward. What’s up next for you? Will we see a sequel that continues Gabrielle’s story? I just completed my second novel, which is set a few years later, also in Paris. But it is not a sequel. The characters are totally different. I am actually thinking of a prequel, set one hundred years before Mistress of the Revolution. Yet I already have a draft story of Gabrielle’s life in London. I might some day pull these English chapters together into a full-blown sequel. Where can readers purchase Mistress of the Revolution? Thank you for spending so much time with us today to discuss your work. I wish you all the success in the world. BIG NEWS!!! AP REVIEWER M.L. JOHNSON SAYS THAT MISTRESS OF THE REVOLUTION IS "DEFINITELY A CONTENDER FOR ONE OF THE BEST READS OF THE YEAR." READ THE ENTIRE REVIEW HERE! Also, don't forget to check out my review of this gripping and romantic story. You'll find it here. Action-packed and filled with suspense, Death Rider by D.J. Stephens is a sure winner for historical western fans. Brodie Jones sees his future and all his dreams dashed when an Apache war party descimates the Santiago hacienda and massacres the entire family, including Brodie's wife to be, Maria. With nothing left to live for and hell bent on revenge, the mountain man tracks the Apache warriors from Taos to Mexico and back again. After killing most of the war party, Brodie continues to track the remaining eight Apache warriors, only to find them ambushed and killed by scalp hunters. Now adrift and without a mission, Brodie wonders what he should do next. When a strange event finds him in the position of protecting the Apaches, Brodie's life is changed forever. 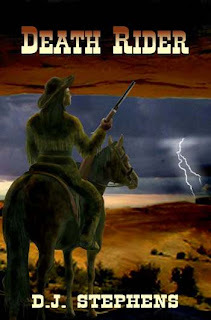 This is the first historical western I had read in a long time and the first novel by D.J. Stephens I had picked up. For all his toughness, Brodie is a sympathetic character whose entire life is turned upside down by the brutal murder of the Santiago family. Stephens explores through recurrent nightmares and dreams the depth of Brodie's pain and suffering. But Brodie isn't a man to be messed with. He savagely murders those responsible for the deaths of the Santiago family. Stephens' attention to detail brings this story to life and reminds the reader of the dangerous times in which Brodie lived. The cover art is beautifully done. The rider on his horse looking out over the terrain as the storm clouds roll in is both striking and symbolic. I eagerly look forward to reading more from D.J. Stephens. 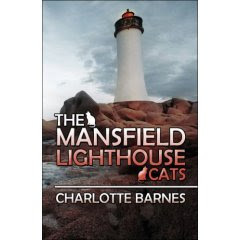 Funny, thought-provoking, and filled with snippets of faith, The Mansfield Lighthouse Cats poetry collection by Charlotte Barnes will delight and entertain readers from all walks of life. A lover of classic poetry, I don't always feel in tune with contemporary poetry collections, but Barnes put together a collection that leaves the reader feeling emotions as diverse as the poems that fill its pages. The lightheartedness you feel over reading about the stray cats of the Mansfield Lighthouse, turns to sorrow as you read of lonliness in "Lonely Times Two", which soon turns to a desire for reflection upon reading how the writer relates a "Little White Snowflake" to herself, and then you become inspired as you read "Take Your Dreams for a Walk". My personal favorites are "The Mansfield Lighthouse Cats", "If Troubles Were Bubbles", "Shade Tree Reflections, and "Lord, Pick Me Up." The cover of this book is beautiful. As a lover of the East Coast and of lighthouses, the soft colors of the puffy clouds and the rippling waves surrounding the rocks relaxes me. The Mansfield Lighthouse Cats by Charlotte Barnes is certain to attract readers as diverse as the poems Barnes chose for this collection. 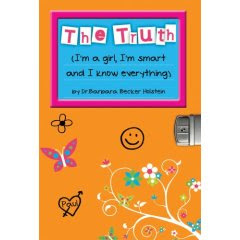 Funny, thought-provoking, and inspiring, The Truth (I'm a girl, I'm smart and I know everything) by Dr. Barbara Becker Holstein is sure to be a hit with young girls ages 8 to 14. Based upon Dr. Holstein's women's self-help book, The Truth (I'm 10, I'm smart and I know everything), the girl's version has a hip new cover, new introduction, and new discussion questions. The format remains the same: a series of diary entries from a young girl who shares everything she thinks and feels about life at home and at school, her dreams for the future, and her knowledge of The Truth. Young girls will follow along as this girl talks about how her parents' fighting makes her feel. They'll witness her fall in love. They'll even get to be with her as her body begins to change. And as young girls move along through two years in this young journalist's life, they will be reminded of their inner strength, their talents, and their future potential. The Truth (I'm a girl, I'm smart and I know everything) is a book that girls and their mothers can read together. It will also make a meaningful gift for any young girl age 8 to 14. Once again, Positive Psychologist and Happiness Coach Dr. Barbara Becker Holstein teaches her readers how to learn about themselves in positive ways. Well-drawn characters, gripping storylines, and rich descriptions fill the pages of debut author Catherine Delors's Mistress of the Revolution. Set during the years leading up to and through the French Revolution, this epic novel finds young noblewoman Gabrielle de Montserrat falling in love with commoner Pierre-Andre Coffinhal. Her brother forbids their union and forces her into a marriage to an aging and wealthy cousin who mistreats her. After the sudden and unexpected death of her abusive husband, Gabrielle goes to Paris to make a life for her and her young daughter, Aimee. As the threat of revolution hangs overhead, Gabrielle becomes a kept woman and a lady in the court of Louis XVI and Marie Antoinette. When Gabrielle is faced with the guillotine, she reaches out to Pierre-Andre, who had fled to Paris to become a lawyer when he was denied her hand in marriage. The two lovers search for a way to hold onto each other, as violence swirls around them; pulling everyone and everything into its grasp. Every so often I pick up a book whose hook has such dramatic impact that I must read it again. Such is the case with Mistress of the Revolution by Catherine Delors. Many years in the future, the narrator, Gabrielle tells of the exhuming of the bodies of the late King and Queen of France, thereby setting the scene for all that will unfold in subsequent pages. While a first person narrative often distances the reader from the story, Gabrielle never once distracted me from all that was happening in and around France in the late 1700's. A tremendous amount goes on within the 450 pages of this fascinating and captivating novel. Fully explored were the relationships between Gabrielle and her family, Pierre-Andre, her lover Villers, Aimee, and the friendships she maintained and lost through the years. Rich and vivid details flowed throughout, drawing the reader deeper and deeper into a story that realistically portrayed the plight of the late 18th century woman and the tragic events that unfolded in France during the reign of King Louis XVI and beyond. My one and only disappointment is the cover. The artwork was taken from a famous painting titled, The Stolen Kiss, by Jean Honore Fragonard. The image was reversed so that the table and chair are on the left and the gentleman stealing the kiss on the right. I would much have preferred to have seen more of the image of the gentleman--which is hidden inside the book flap--than the furniture, but it is still a strikingly handsome cover. Mistress of the Revolution is a story of impossible love pitted against the most tumultuous time period in France's history. It is a novel that will reward the reader in every aspect and leave her desiring to read it again as soon as the last word is read. I eagerly look forward to the next book by talented newcomer Catherine Delors. I am giving up the floor today (see how generous I can be) to author Dyan Garris. For many years Dyan Garris has been counseling clients in order to help them move forward in their lives. She is clairvoyant, clairaudient, and clairsentient. In addition, Dyan is also what is known as a voice recognition psychic and trance channel. This means that she can help her clients via telephone, which is how she conducted her readings throughout her career. She is a frequent radio guest on the Jay Grayce show at Tribeca Radio in New York City and has been interviewed by numerous other radio hosts. Recently, Mystic Pop Magazine interviewed her for their January/February issue. Living In Style TV featured her products in their 2007 holiday show. Bowing out now, though you know it's hard for me. What we believe definitely has power to shape our lives. The chatter that goes around in your head definitely has power to shape your life. But this is only part of the story. Ultimately it’s what you DO with your belief system that has power to transform your life. For illustrative purposes, let’s say you live in a box. The inside of the box is cozy and comfortable. You’re happy in there. But the box has no windows. One day you decide you need to broaden your horizons so you gingerly cut a large hole in the side of the box. This gives you a very nice view of what is going on outside your living quarters. You gaze out in wonder from the safety of your little dwelling and you can see leafy green trees and other interesting shrubbery. After a while you decide to expand your view so you cut a hole in the opposite side of the box. Now you have yet another view of the outside world. Out of this window you can see horses grazing peacefully right outside your box. You are amazed. You had no idea this was going on outside. At some point you decide to open an additional portal on another side of the box. You’re a little scared by this because you now think you may be cutting too many holes in your abode. You begin to doubt yourself and start thinking that you may be making a place for rain to get in rather than expanding your view. You worry and fret about compromising the structural integrity of your box. But then you tell yourself that it worked out just fine on the other sides, so what could possibly go wrong? You tell yourself that if you don’t cut the additional hole you do have a nice view out of two windows and maybe that’s just fine. But you’ve decided that you don’t want to be limited anymore; you want to see what else is going on out there. So you gather your courage and do it anyway. Now you have a completely different view. You can see a beautiful lake out there. You are in awe. You decide to do this on the remaining side too, this time with enthusiasm instead of fear. Now you have a panoramic view. It’s lovely and enjoyable and you are quite pleased with yourself for taking a few chances. Some of you reading this were thinking that something bad was going to happen with all of this hole cutting. What is this based on? Why is your mind going to the negative? Study where these negative belief systems have originated from. Fear is very limiting and will keep you from getting what you desire. Now here is what is important: You can sit there inside the box for the rest of your life, simply enjoying the view, or you can venture outside. You will discover that when you go outside you can ride the horses to greener pastures, eat the luscious ripe berries from the shrubbery, fish and/or swim in the lake. If you stay inside you can’t do any of that. You can sit in there and wonder when a fish will jump out of the lake and land on top of your box or when fresh berries will arrive at your doorstep. It is a choice. 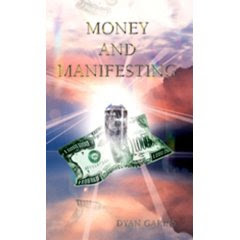 Dyan Garris is the author of Money and Manifesting, Voice of the Angels – A Healing Journey Spiritual Cards, The Book of Daily Channeled Messages, Talk To Your Food! Intuitive Cooking, and Fish Tale of Woe – Lost At Sea. She publishes a Daily Channeled Message at Voices of the Angels. 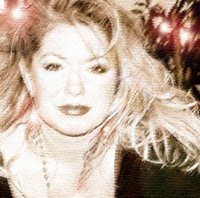 In 2005 she created a series of music and meditation CDs for healing, chakra balance, help in sleeping, relaxation, and vibrational attunement of mind, body, and spirit. Tinisha N. Johnson is an author, writer and poet. 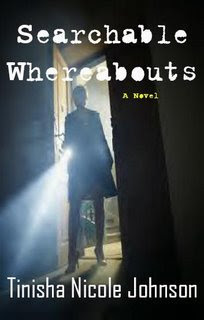 Her newest book, Searchable Whereabouts, a mystery novel, was released Feb 1, 2008. 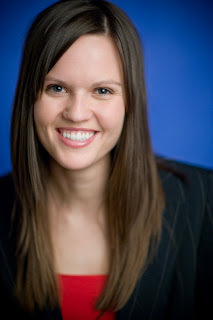 Tinisha resides in Denver, Colorado with her husband and two children. She writes for a local urban magazine called Denver's Finest Underground. Tinisha's passion for writing began at the early age of eleven. It has always been her hobby and pastime and at the age of twenty-one, after her son was born, she took her writing seriously and began pursuing it as a career. Searchable Whereabouts is the story of woman - Rahkel Williams, who's trying to unravel the mysterious death of her beloved uncle. However, after finding clues into his life, she wonders if he was really the man she knew. She requests the services of private investigator, Darrin Miller and it's not long before things get personal between the two. Soon, strange things begin to happen, including people of interest in the case who turn up murdered. Rahkel doesn't know who to trust, and the truth of who murdered her uncle could either save her or kill her. But at all costs, she must find the truth. Considering there aren’t that many Black mystery authors, I have run across some challenges, but I definitely haven’t allowed that to deter me, not even a little bit, because writing is my true passion. However, being an African American mystery writer, people really want to know if your book is good enough; you’re critiqued almost just a little bit more. People want to know if there is a real mystery to be told and of course that is understandable. I’ve even received one comment about the book that it wasn’t urban enough; to that I don’t have a comment. But all in all, I try to view the challenges as opportunities -- An opportunity to get my name out there, and my book’s name out there. I’m the type of person that makes myself think on the positive side rather then letting disappointments get the best of me. 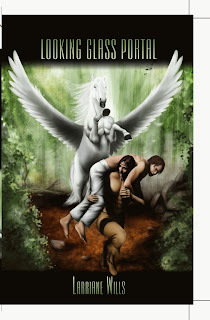 So far, regarding my mystery novel, Searchable Whereabouts, I’ve gotten some good reviews, so I am very happy about that. 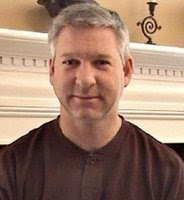 Businessman and author Thomas Wade Bounds is a husband and father of two. Here, he shares with us his reasons behind writing his new series for teens, Choices, the message he's trying to relay in the first book of this series, My Secrets, and what the next book will be about. After that, Tom will share his personal reflections on writing Choices, My Secrets. My thoughts were for my oldest as he was approaching his first year in high school and I wanted to share with him some things he might come across. He would face challenges in a variety of ways: religion, faith, relationships, parties and so on. How would he know what to do or how to handle it with out being intimidated or reluctant to speak with us about it? I wanted to get a message across without coming over too strong or even boring him so he wouldn't respond. Well, Choices, My Secrets worked. He opened up. I listened and he talked; he asked questions and before we knew it we had a very important conversation going on about many issues that he will most likely face. He has a better understanding now, and an experience he can use and identify with to encourage him to make better choices. Most importantly, he knows he can lean on God and trust Him and seek His wisdom, as well as, his parents. We can not make all the choices for our kids, but we sure can help them identify the ones that may be harmful or even deadly with good examples that have strength to stand on. I saw the impact Choices, My Secrets had on him and a few others that read the story, and I decided to make it a series in the hopes that this could help others identify issues that they may come across. An experience, good or bad, most likely will have an impact on how we make our choices. The messages that lie within this particular story happen daily in our world. After a summer romance and a night of passion, Rachel discovers she's pregnant. Her boyfriend has gone off to college and doesn't return her messages. She is left to handle this on her own, afraid that she can't confide in her parents or her friends, and that she can't turn to God for guidance. She decides to have an abortion, but a life-changing experience could lead her in a different direction. I wanted to show with an up-close experience how some of the choices we make without thinking them through can affect our life and the lives of others. Life has its challenges and we sure don't need to add to them through choices that could have been prevented. Choosing to have a sexual relationship during the teen years is dangerous in many ways. Celibacy is the best choice. Teens don’t need to be ashamed of that; it is actually cool. You may want to read the story a few times to gain all the messages. Teens seem to pick them up more quickly than adults, who may have a number of their own experiences. Life is a precious gift from our Creator, no matter how you look at it; but sometimes we do not see it that way. We all have been given the power of free will and choice. The message is to stop and think about that choice before we make it, so we can prevent having to make the most trying choice – considering ending a life. Part of being responsible is making responsible choices first. I hope that the reader will pick up on all the messages in this short story. There are many. It is not just about abortion or life. Of course, those are what stand out the most. Life is important and special at all stages. It is how we handle those stages and how and who we turn to when in need. Teens do not always turn to God or parents during trying times. Sometimes they just keep it bottled up inside and lose hope. I hope that Choices the series will encourage teens and parents to come together and build that very important part of being a family - mutual trust – trust to allow the teen to make choices and trust to consult the parent when doing so. I have also been working on my second short story that deals with teens and the night life of parties and the aftermath. This story will take you into one week of several lives and the struggles of being a teen dealing with seeking to be accepted and sometimes crossing the lines to feel cool. It reaches deep into the depths of the “after world” – the world where the consequences of bad choices can take you. This is a reading experience you don’t want to miss. Looking back I was not sure if I could do it. I was never big on writing and really was not sure where and how to start. I asked my sister, who loves to write, if she could write it for me. I told her of my thoughts and she asked me to write them down and then send them to her. So I did that and before I knew it I had completed the story as a draft. Before I knew it my quest had begun. I did it or did I? It took me time to get up the nerve to ask someone to read it. I thought, of course, who would read something I wrote? Who and why would this help anyone? On the day that I started Choices, I had a completely different title for it. I called it “A Front Seat View”. Why? The purpose, I guess, in my mind, was what I wanted to give my son and daughter. Who wouldn’t want to give their child a glimpse of what life’s choices can bring? My daughter at the time was constantly asking me if she could sit in the front seat of the car when we go on drives or to the store and I always told her, not yet, wait until you are older. Then one day she asked me, "Why Daddy?" I explained, it was the law that when you are 9 you can sit in the front seat. She looked at me shaking her head, then she responded with a pretty strong question. "Daddy don’t you want me to see where I am going so if you get lost I can help you find your way?" I thought about that long and hard. "Yes, I do want you to learn that. That is exactly what I want you to learn." Wow! A front seat view could be helpful. God offers us this with stories from the Bible. Indeed, we have clearer vision and insight from reading the Bible, but do we use that to our advantage? 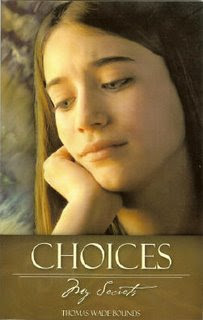 Choices, My Secrets simply lays out a view of one's choices and the consequences of them. So the readers can see where they may need to turn so they don't make similar choices. Learning one's path is not so bad when it develops a better understanding of that choice and its potential consequences. Wouldn’t we love to have a crystal ball to help our teens and to guide them to make the right choices; even an adult would like to have a helping hand to make better choices. We tell our kids stories about our lives. Some of them they do not want to hear and others they might think we should not have told them, but when a story is told about someone their own age there is some serious merit to it. It's wisdom they can use and think about. I look back at my experience while writing Choices, My Secrets and reflect how important it is to listen to what kids say. Sometimes they tell us just what we need to know and how to help them develop better habits and choices. Rachel spent time wanting instead of listening to what her heart and mind was telling her. She had the answers already, but did not listen clearly to them nor did she know how to listen to them. If she had taken the time to ask her parents questions about what she was feeling, and her parents had taken the time to ask her about what was going on, they might have been able to change the course of actions that she took. I enjoyed the time I took to write this story. I have learned a great deal from it, as well as, from the people I have come to know who have shown me and advised me to help my journey as a first time author easier. I have learned a great deal more about God and His wisdom, and through that, my wisdom has grown and so have I. I plan to use this knowledge to write better stories with more impact and excitement, but most importantly, realistic journeys that can be shared with teens and parents to enhance their wisdom during their journey through life and the challenges it brings. I thank God for His words He has given me. Cheryl thank you for your efforts and interest in Choices, you have offered great advice and made my journey simpler. I wish I had known you during the writing of My Secrets. I would also like to thank Pump Up Your Book Promotion and all involved in helping Choices, My Secrets reach the audience that it is intended for. One lucky person who comments on any blog stop during Tom's virtual book tour will win a free copy of Choices, My Secrets. You can purchase a copy of this book that will help jumpstart parent/teen discussions at Amazon or Xulon Press. For more information about this series, visit Heritage Values.